Poker has always been one of the favourite games for the avid gamblers worldwide and the Asia Pacific region is obviously no exception. Be it poker tournaments in Australia, New Zealand or across Asia, people wait eagerly for information about the poker game tournaments, they can follow or participate. Some of the most popular poker tournaments in these regions are Aussie Millions and WSOP APAC, Gol Gol BIG ONE $40k Gtd II, Marconi Cup Carnival V and the APPT Manila. SKYCITY Auckland Sky High Event in New Zealand is all set to rock the gamblers from June 26th – 28th of this year, while Poker SA Platinum Event to be held on June 28th at The Maylands Hotel, Adelaide is another tournament to look out for. The P1 Million Guaranteed Event to be held from July 1 – 5, 2015 at the PokerStars LIVE Manila, Philippines offers a main event ticket purchase of PHP5,000. Speaking of Gol Gol BIG ONE $40k GTD II to be held on July 11 – 12, 2015 at the Gol Gol Hotel, Mildura, the main event buy in price is $1,100. With Marconi Cup Carnival V from July 8 – 26, 2015 at the The Poker Palace, Club Marconi, Sydney you will surely love to see the big boys in action. Few other tournaments are ACOP Platinum Series X at PokerStars LIVE, City of Dreams, Macau from July 21 – 26, 2015, APPT Manila from July 31 – Aug 9, 2015 at City of Dreams, Manila, Philippines, Tasmanian Poker Championships from August 7 – 9, 2015 at the Wrest Point Casino, Hobart, Macau Poker Cup 23 at PokerStars LIVE Macau from August 28 – Sept 13, 2015 buy in price is a whooping HK$12,000 or US$1,550. Lastly, there’s the Poker SA Platinum Event at The Maylands Hotel, Adelaide on August 30, 2015. 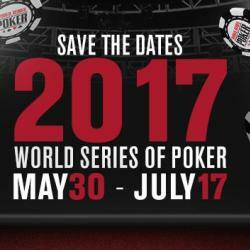 Findmore information about upcoming poker tournaments as more excitement is in store for you.